In preparation for this October's tyre safety month, TyreSafe has launched its new website and visitors will find a cleaner layout, enjoy easier navigation, plus have access to a wide range of handy tyre safety hints, tips, videos, animations and other useful resources. While the previous design had been popular with visitors, the sheer volume of material available to download, plus the broad range of sectors now covered by the organisation, meant that a fresh look was required to make it more accessible. Equally, the new site now features much better integration of the groups' social media platforms including Facebook, Twitter, LinkedIn and Flickr, giving users even easier and wider access to important tyre safety information. TyreSafe is a not-for-profit organisation, dedicated to raising awareness about the dangers associated with defective or illegal tyres, and its new website is available to view by visiting TyreSafe. Stuart Jackson, chairman, TyreSafe, explained: "The range of services and information we provide on-line has increased significantly over the last few years and although the previous website served us well, we felt a new look would help visitors find exactly what they were looking for, quickly and easily. 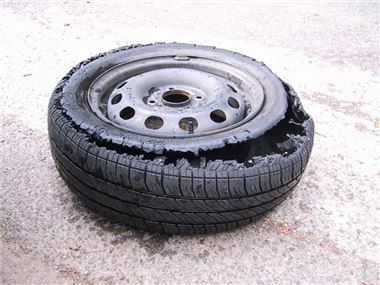 them a number of ways to engage with us and learn all about tyre safety. making our roads safer, to take a look." Other features include a photo library and a news section, plus important safety advice about car, motorcycle, caravan, van, truck and horsebox tyres. The site has also retained key popular features such as the organisations online pressure checker and iPhone app, which was recently named as one of the 30 best motoring apps by The Daily Telegraph. To visit the site or to find out more about TyreSafe, visit TyreSafe. In 2009, TyreSafe was awarded with the Prince Michael International Road Safety Award in recognition of its achievements in raising awareness about the dangers associated with driving on defective and worn tyres. TyreSafe supports the government's ACT ON CO2 campaign which promotes Smarter Driving tips to help cut CO2 emissions from driving. TyreSafe is a signatory to the European Road Safety Charter which aims to reduce road fatalities. TyreSafe is a supporter of the UN Decade of Action for Road Safety which aims to make roads safer and save lives.